Quarantine? Who Has The Right? Outbreaks, Epidemics, and Pandemics-What’s the Difference? Plan For a Career in Science-Now! Topics: Human health, immunity and immunizations, pathogens (viruses), the immune system and immune responses, and herd immunity. Students investigate why an aunt is not getting her child vaccinated when it begins to cause family problems. Some family members say they will not allow the unvaccinated child to visit their children and arguments are occurring. Can the student bring the family back together by presenting the facts about immunizations? Explain how the immune system works to provide immunity to disease. Describe how herd immunity forms. Explain how vaccinations result in immunity to disease. List examples of how vaccines have impacted disease occurrence in world health. You are just making yourself comfortable on the sofa with a large bowl of popcorn that should see you through your debate class homework when the evening news begins. Your parents watch it every night and you know that soon their nightly “debate” will begin—your mom is liberal and your dad is conservative. So they say. To you, they are both conservative. You tune them out and your headphones help a lot with that when something catches your attention. You pull your headphones off just in time to hear about an outbreak of measles. The outbreak was spreading. Was this the same type of thing that you heard about last year when a disease called “mumps” was going around some college campuses near you? It seemed like a bizarre type of disease at the time and you had asked your parents about it. You had never heard of anyone getting mumps before and it didn’t sound like something you wanted to get. 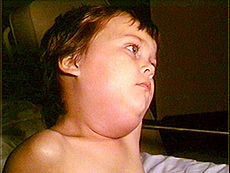 People with mumps have face pain, fever, headache, sore throats, and swelling of the glands in the neck and face! Your parents had told you that you won’t get mumps because you had been immunized against it. Relieved, you hadn’t thought about it again. Now, people were getting measles? The news report went on to say that the outbreak was caused in part because people were choosing not to get vaccinated. Your mom said that your Aunt Jenny has not had your little nephew vaccinated and that your Aunt Becky may not let him come around your new baby niece. Now, you’re shocked. You didn’t think anything would interfere with family get-togethers. And what’s going to happen to your after- school and weekend baby-sitting jobs if you can’t have the babies together when your aunts are working? Even worse, your extended family is apparently taking sides. Some of your relatives want everyone immunized against everything; others don’t want to vaccinate at all or they want to delay vaccinations. From your mom and dad’s conversation, things are getting tense. You don’t want this to cause problems in your family. You don’t see what the problem is anyway. Your mom goes on to say that you are due for another immunization, but she’s not sure she wants you to have it based on what Aunt Jenny is saying. Maybe you can wait for a few years to get it. Your parents also say that your school district may be changing its policy on immunizations. With everything that in the news lately, more people might not get their children immunized. You decide that you are going to use this controversy as the topic you need for your speech/debate class homework. The assignment is to pick a current and relevant issue, present one side of the issue, and be prepared to respond accurately and persuasively to questions and challenges from the audience—the rest of the class and your teacher. Given that you know that the issue is causing problems in your own family and that your school system is thinking about a possible vaccination policy change, you are sure that this topic is both current and relevant. Which side of this topic will you present? Are you for people getting immunized to protect them from disease or are you against it? Explain. Answers will vary, but students should be able to defend their choice with scientific evidence. You may have to discuss the difference between objective data and opinions not supported by evidence. Why are vaccines important to the prevention of disease? How does a vaccine prevent disease? Specialized cells in our immune systems form antibodies in response to pathogen antigens that fight off disease. Pathogens are disease-causing organisms; an antigen is any type of molecular structure that lymphocytes (white blood cells) recognize as foreign to the body and that can trigger an immune response. Antibodies are chemicals made by B lymphocytes that can bind to antigens. In this way, antibodies inactivate antigens and the person is protected against the disease. Vaccines take advantage of the body’s natural abilities to fight disease. Just as the body produces antibodies that react to invading microorganisms, vaccines are designed to boost the immune system’s ability to quickly recognize microbes and destroy them before the disease process begins. A vaccine is an antigen-containing substance (specific to a disease) that stimulates the production of antibodies by the immune system. Most vaccines contain killed or weakened versions of a specific microbe or parts of a microbe. 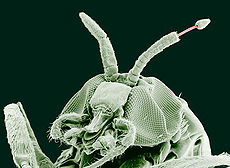 They cannot cause disease, but still produce an immune response. When the dead or weakened microbes are introduced to the body through vaccination, the body responds by destroying the microbe and also by producing a “memory” of the microbe in the immune response system. If the body is later exposed to the disease microbe, the immune system responds much more quickly to eliminate it because it has already formed antibodies. In vaccine-induced immunity, your body produces antibodies in response to a vaccine; you don’t have to get sick. Why would your aunt not immunize your nephew? What is the controversy about vaccinations? Vaccines are developed according to strict guidelines, procedures, and testing protocols with the highest safety standards. Years of testing occur before vaccines are approved and distributed. However, a few people have different reactions to vaccines. All medicines have potential side effects. Most adverse reactions are short-lived and are just an immune response to receiving dead or weakened pathogen particles. Having the disease is usually a much more serious condition with potentially longer lasting consequences. In recent years, controversy about vaccine safety has caused some people to stop or delay immunizing their children or themselves. Scientific evidence has disproven the unfounded links between vaccines and adverse health conditions. Relying on the evidence is key to making responsible health decisions, including those decisions about immunizations. Why does your Aunt Becky not want your nephew around her baby? If Aunt Becky does not get her child immunized, it poses a risk to other children who may not be old enough to be immunized for a particular disease or to children who cannot be immunized due to another health condition. It is because of this risk that schools and childcare centers require children to become immunized; those unimmunized children are a potential health threat to other children. How does herd immunity protect children who cannot get immunized because of a health problem or children who are too young to be immunized? Herd immunity is the resistance to an infectious agent by an entire group or community. It results when a large number of vaccinated persons in a community reduces the likelihood that an infected person will come into contact with a susceptible person among the population. 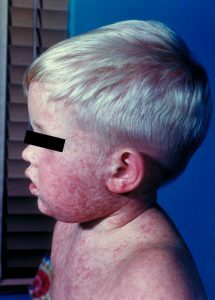 If a large enough segment of the population is immunized against a certain disease, it is unlikely that an unvaccinated person will come into contact with a person infected with the pathogen; the pathogen does not survive within the population. Therefore, the disease does not spread through the population. Some people cannot be immunized. Small children who are not yet old enough to receive certain vaccinations are vulnerable to diseases until they receive the vaccine. Other children and some adults have chronic medical conditions which prohibit them from receiving vaccinations. Pregnant women may not be eligible for certain vaccines. These children and adults are protected by herd immunity. 6. If your school district changes its policies about immunizations and allows more parents to opt out of getting their children immunized, how might that affect disease rates in your community and in your school? It has been shown that if people are not immunized, disease rates increase. More people become infected with disease-causing pathogens. How would you feel about a change in the immunization schedule if it eliminates immunization requirements? Answers will vary. Although the question asks how a student might feel, they should defend their answer with an evidence-based argument. What is the solution to your family’s problem? Information about constructing and implementing rubrics for problem-based learning strategies can be found in Developing Rubrics in the Teacher Professional Development section. ► Invite your county or district public health officer or an epidemiologist from a local university (or both) to talk to your classes about how public health is monitored in your area. ► Invite a public health officer to discuss the importance of immunization in the prevention of disease. You may suggest that they discuss the 2017-2018 influenza epidemic and how immunization or the lack of it affected the disease spread and severity. ►Have your students watch the optional video “The Vaccine That Changed The World”. The video details the development of the polio vaccine. The students are probably not familiar with the “polio season”—the time of year when polio cases increased, peaked, and then, for some reason, went away. For decades, parents were fearful of their children contracting this disease which could leave their child paralyzed, crippled, or in an iron lung—if they survived. The video details how the vaccine was developed, the incredible work done by the Jonas Salk research team in a basement lab in Pittsburgh, Pennsylvania, and the courageous Americans who banded together to donate money for the research effort and who volunteered their children to test the vaccine in hopes that they would be protected from the disease. The Teacher Guide for this video is located in the Teacher Pages. 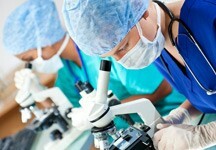 Microbiologist Studies microorganisms-organisms too small to be seen without a microscope. They identify and classify microorganisms from specimen from humans, plants, animals, or the environment.